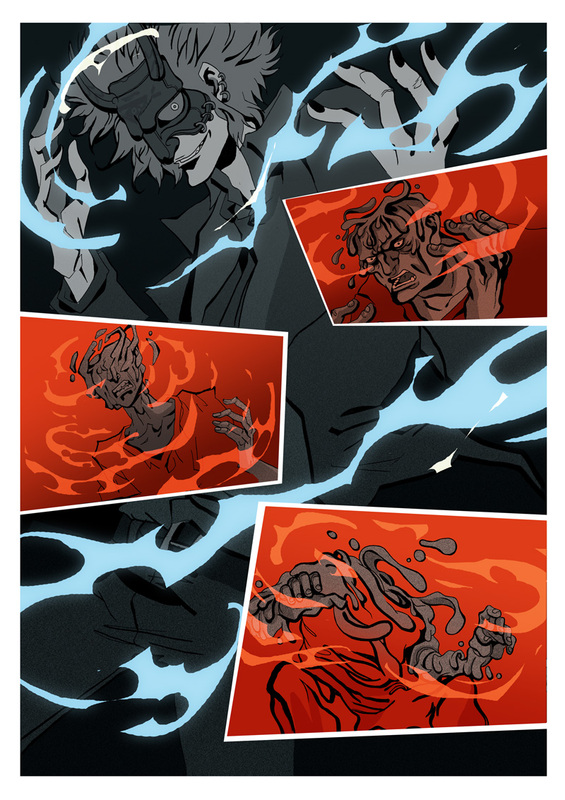 A guest blog by Comics Experience alum and Creators Workshop member, Shaun Manning, discussing his new comic book, Hell, Nebraska. But that's not what I'd like to talk about for right now. 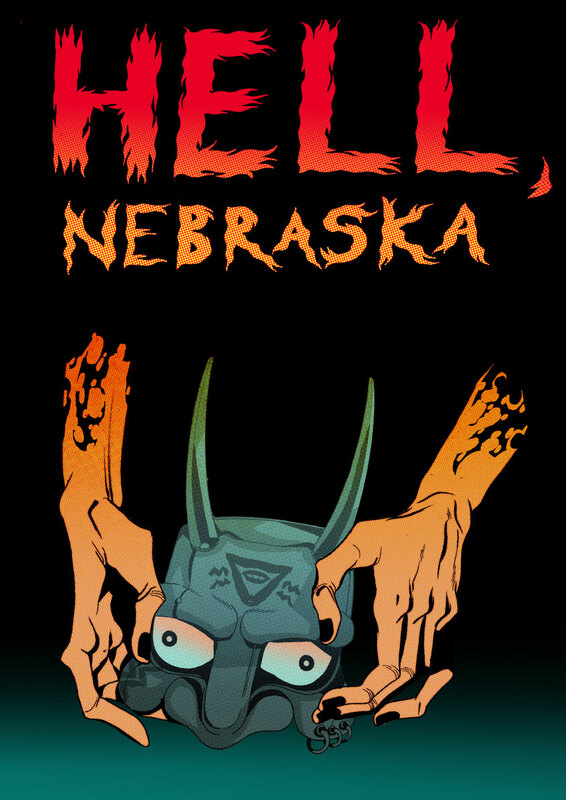 Today, I'll be talking mostly about Hell, Nebraska, a born-digital series that's now available on Graphicly and soon on iVerse, as well as the role Comics Experience has played in putting this book together. 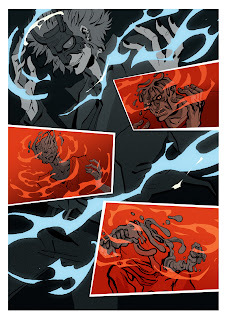 Hell, Nebraska and the forthcoming, earlier-written comic aren't wholly unrelated—they share an artist, the phenomenal Anna Wieszczyk, and HN as it currently exists was somewhat born out of my impatience with the print publishing process. More directly, though, Hell, Nebraska was born out of food poisoning and a bad Spectre comic during my last night in New York. New York was great for a lot of reasons. I got to meet a lot of awesome people, in and outside of comics, cover some amazing events for Comic Book Resources, and take Comics Experience's Intro and Advanced writing classes live before Andy Schmidt packed up for the West Coast. 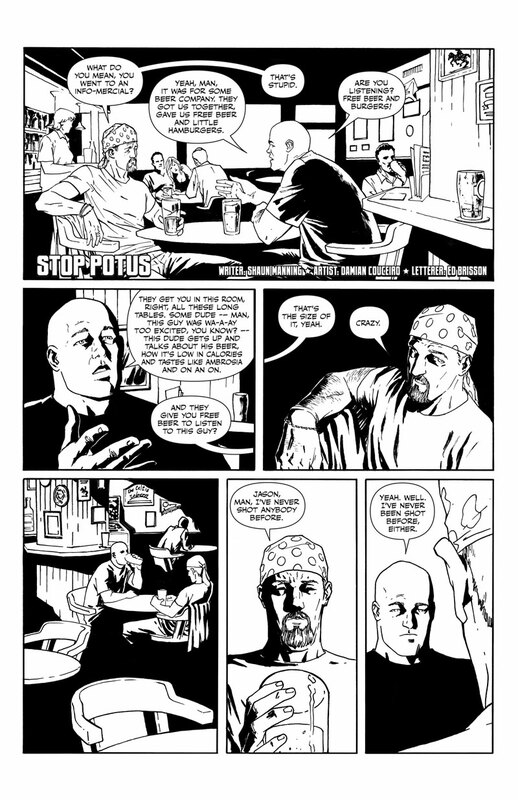 Several of my classmates from the Advanced class put together an anthology comic for New York Comic-Con, and my story from that, Stop POTUS, has also appeared on Top Shelf 2.0. Andy wrote the intro for our anthology. So New York was a terribly useful experience, but soon my wife and I found ourselves heading back to Chicago. My last night in town was spent in a largely empty apartment—my wife and our furniture had arrived in Chicago some weeks prior—with a small stack of the week's comics and an unfortunate parcel of fast food. At some point after I'd begun sweating, but before I'd slumped incapacitated on the floor, I read a comic featuring DC's latest stab at the Spectre—it may have been Crispus Allen, it might have been post-Infinite Crisis, I don't recall exactly. What I do remember is that the high concept was that the Spectre wanted to be a Spirit of Redemption rather than the Spirit of Vengeance—and that this was not the first time DC had tried this. Because the first time, it was interesting—"oh, what does it mean for this primal force to turn over a new leaf?" That was part of the Hal Jordan Spectre's schtick, and kind of cool. But this time, my immediate thought was, "well, if the Spectre isn't going to be the Spirit of Vengeance, who is?" 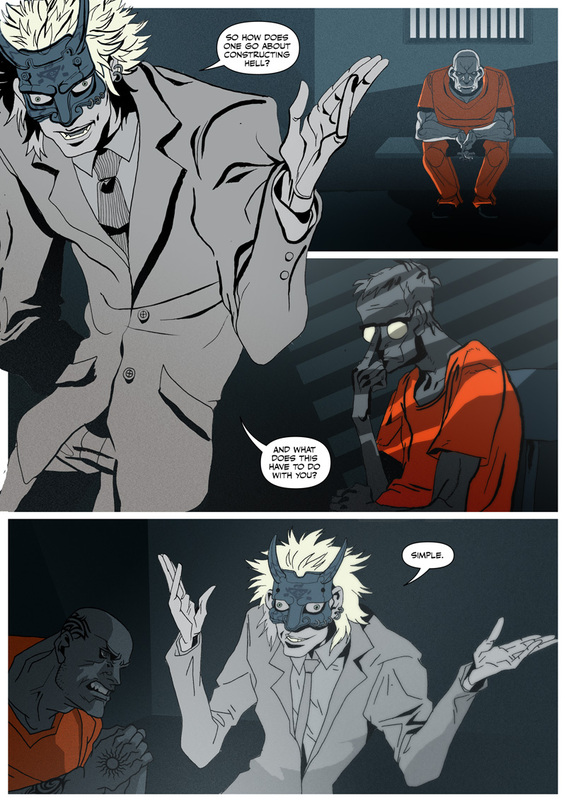 In the real world, there are all sorts of complexities and shades of grey about crime and criminals. In the real world, I believe in innocent until proven guilty, I'm against the death penalty, I favor rehabilitation wherever possible, and so forth. But comics, man, if Batman punches out a thug, you know he deserved it. It's not novel to say that comics, among other things, serve something of a wish fulfillment fantasy. I also don't think it's a secret that we—even the most liberal among us, and I consider myself to be pretty far to the left side of that spectrum—believe the truly wicked deserve punishment. Not the petty criminals, not those driven to desperation, or people who grew up in conditions that left them little other choice, but the absolute worst that humanity has to offer. In the real world, many of these people escape punishment—Slobodan Milosevic died while on trial for crimes against humanity, and many others are able to evade the law entirely, sometimes because their destructive acts are not even illegal. In the real world, bad guys sometimes win. That shouldn't be the case in comics. At very least, if Doctor Light gets up to some nasty business on the JLA Watchtower, the Spectre should be right there ready to melt him into a candle. Which happened a bit later, in, I think, Blackest Night. I didn't know that during my last night in New York. So, writhing around on the filthy hardwood floor trying to hold my guts in, I wrote the first five pages of Hell, Nebraska in my head, and followed that swirling fever dream through the outline of a larger story. Abaddon, the Devil/Spectre character, is not the good guy, however. He serves that purpose that I, in my fevered state, found so necessary, but from a very human—and thus flawed—perspective. Make no mistake, the people he targets deserve retribution—but of what kind? To what degree? He knows their crimes, infallibly, but the judgment is his own, which creates some problems, or at least tension. His opposite number—who happens to be Abaddon's student in his human guise—is faced with the same problem; a divine power tempered by human judgment. They will influence each other in significant ways, and despite the teacher/student power dynamic, this will be far from a lopsided exchange. Putting this together as a comic came a bit later. I found Anna by posting on one of the forums I'd heard about from Comics Experience—I forget which—and we started working on the script I'd produced for the Advanced class. I'd actually intended an entirely different style, but as soon as I saw her work, I knew that she was right for the project. This would prove to be the case with several of our collaborations. Soon, I'd had one project with Anna accepted, we were pitching another, but either of these would take quite a bit of time before anyone would read them. I wanted to get something out into the world now. Or now-ish. After having a friend from the Advanced writing class give me some notes on the first issue (now I'm in the Creators Workshop, I'll post future issues to that forum for critique), I sent it off to Anna to see if she'd be interested in it and what she thought about doing it as a web comic serial. She said, "I like this. A lot." Which is a terribly encouraging thing to hear from an artist. Format-wise, I decided that, because this was being offered online, I need not stick to 22 pages per issue. But, if this were to be collected, it should still be manageable in 22-page chunks. In an effort to post content at more regular intervals (despite the fact that I work another job, as does Anna), I decided to put up 11-page issues, which also creates twice as many cliffhangers for the full-length story. 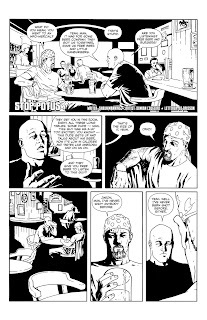 So Hell, Nebraska will run eight 11-page issues, rounding out to the size of a standard four-issue mini. That's volume one, anyway. Issue #1 went up first on Graphicly mainly because I like their interface and because Micah Baldwin is so readily accessible. 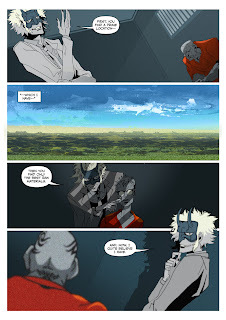 They're also doing some inventive things with embedding comics and were the first out of the gate with an Android app, which was big for me. iVerse has also been great to work with and I'm hoping to get distribution on some of the other distributors soon. Comics Experience provided a good deal of the background knowledge necessary to see this project through—and, perhaps more importantly, gave me a community to critique my work and allow me to critique others. It's difficult to overstate the value of having several people whose opinions you trust look at your work: if one person doesn't like what you've written, well, he's an ay-hole; if there are nine people poking holes in your story, it probably needs work. The other side is also true: one person praising a story doesn't necessarily mean it's good, but if a roomful of writers likes it, there's a chance you might really have something. The Creators Workshop is thus incredibly useful for sharing regular feedback, and provides a continuing value for writers and artists at any level. 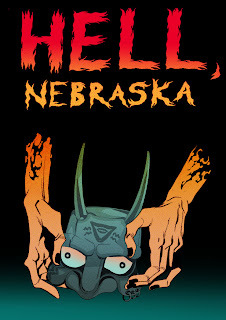 Hell, Nebraska is available right now on Graphicly.com.